Sensual stories in Sunny island: Thank you for the mails and support. Thank you for the mails. I know the blog has been quiet for a few days but everything is fine. Thank you for the mails of support and encouragement, it's heart warming to know that there's so many people reading my works. For the first time ever, more than 50 copies of Lucy, Jane and Huimin has been sold. It's the first time i ever sold 50 of anything. haha. I'm surprised too at the overwhelming support. I stocked up on a good supply of coffee, got myself a new coffee mug from Daiso too. That should keep me going through the nights when i write. They say it's always better to give, than to receive. On behalf of the animals at spca, thank you for your love. 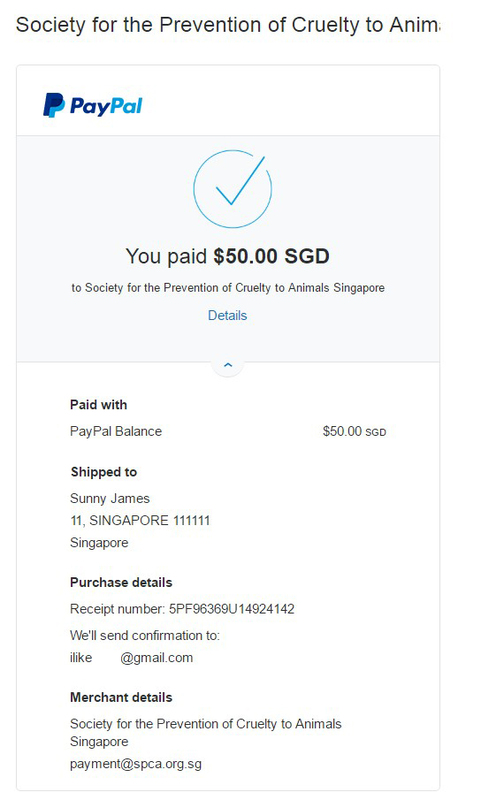 Thanks to all your kind support, i have been able to do this every month to different organisation with different accounts. This will be the last receipt i'm adding on this blog. A special shout out to a few blog readers, John, Mr peanut, sourdough and Lady vera. And they have been doing so for some time now. In return, i send them a copy of all my works whenever i have one. It's not much, but its a token i can afford. If you wish to join this special group of amazing people, let me know. I'll add you to the mailing list. You'll be kept in the loop of what James is up to that month. 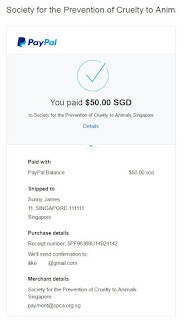 Match James's donation ( avg 30-80 ) every month ( receipts please , i send them all of mine ) , and you'll get as many ebooks as you want, as long as i keep writing. To all who have supported my works. Yes. There will be updates today, and the next few days too.